The Frugal Family Life: $1/1 BIC Stationery Product Coupon = FREE Pens or Pencils! $1/1 BIC Stationery Product Coupon = FREE Pens or Pencils! 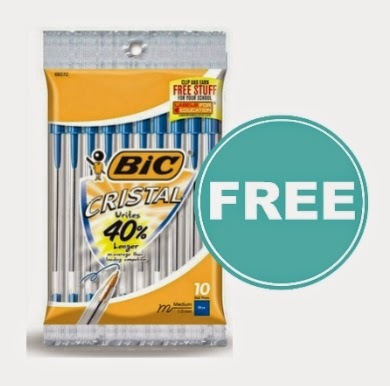 There’s a new $1/1 BIC Stationery Product Coupon! This one will double to take $2 off at Nichols and Homeland! We will be able to get pencils or pens for FREE for sure with this one so make sure to print it!